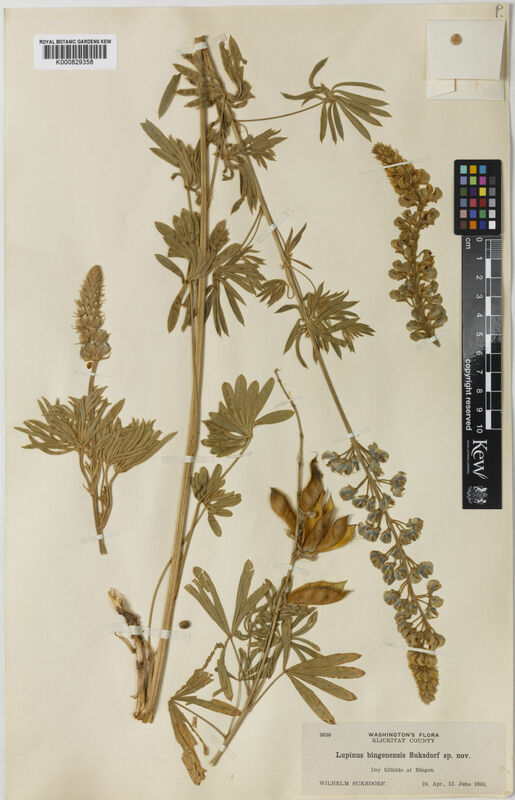 This species is accepted, and its native range is SW. Canada to W. U.S.A.
Lupinus bingenensis var. dubius C.P.Sm. Lupinus bingenensis var. subsaccatus Suksd.